Bi: Zapotec for air, wind, breath. Yuu: s 1. Chatino for earth. In 2012, Studio Marisol Centeno founded Bi Yuu, a company specialized in rug and textile design and driven by the values of innovation, quality and social responsibility. At Bi Yuu, we believe that design and innovation are tools through which we can create a positive impact in the lives of our partners and clients. We believe that this impact, created by our products and processes, gives our rugs soul. Our rugs tell stories that are in dialogue with tradition, expressing inspiration and emotion through careful combinations of color, texture and form. 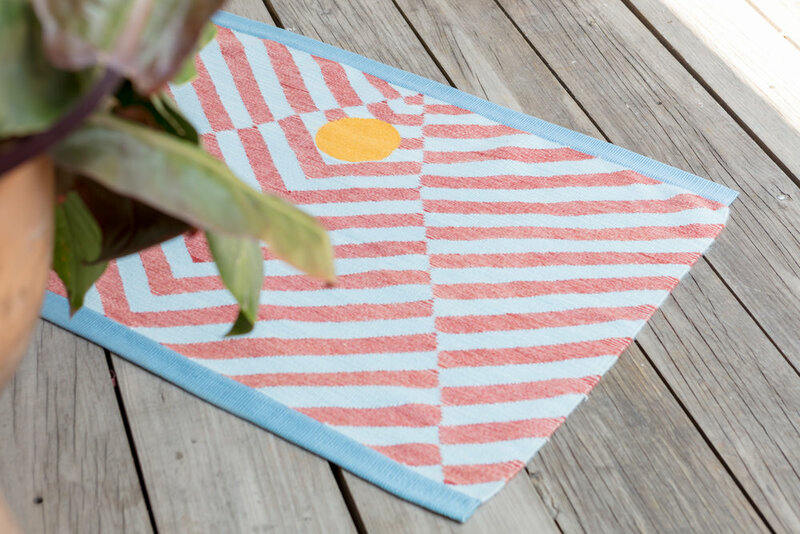 We make rugs that promote collective work and sustainability through design. At Bi Yuu, we respect local customs and traditions because we understand and value the time it takes to produce something by hand. To us, the process is as important as the final product. It is also fundamental for us to build long-term ties with the artisans of Teotitlán del Valle, as well as with the organizations we work with and that form part of our team. We aim to cultivate meaningful relationships with them, based on the exchange of knowledge with our design studio in Mexico City. We are an innovative, interdisciplinary creative team that works horizontally and in constant dialogue with our strategic partners. At Bi Yuu, we are interested in building connections with agents of social change in order to improve the quality of life of the communities in which our rugs are made. We work to strengthen education and to fight against child labor in the manufacture and purchase of our textiles, and to improve the labor conditions of adult artisans, thus promoting positive change in these communities. We are proud to certify our rugs with GoodWeave, a nonprofit organization that sponsors social programs in Afghanistan, India and Nepal. At Bi Yuu, self-evaluation is very important. It allows us to construct strategies to meet our goals and design new ones, as well as developing technology, expanding our team and innovating in our weaving and dying processes. We are very excited to share our achievements and the benefits our brand has provided to all involve through the Bi Yuu Comprehensive Five Year Evaluation. This year, our work structure was based on the theory of change.